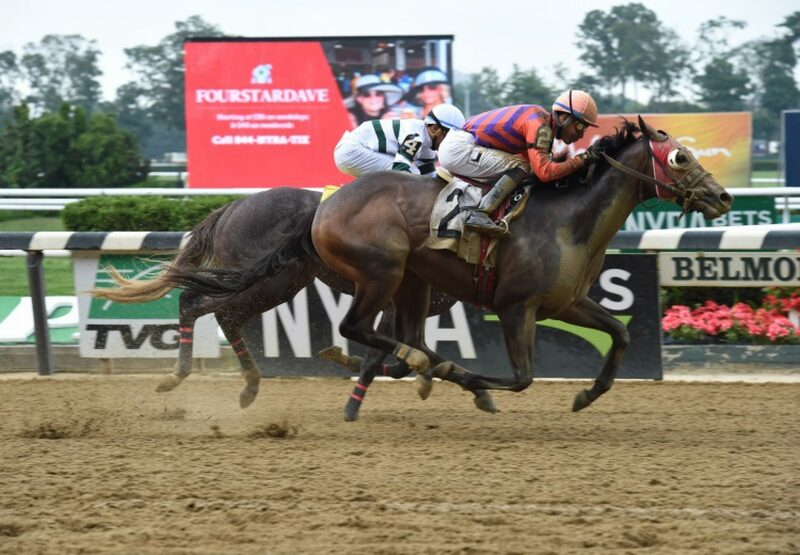 Exciting young sire Shanghai Bobby added a new stakes-winner to his tally with a stylish victory in the $117,263 Aspirant Stakes at Finger Lakes on the weekend for Mr Pete (2c Shanghai Bobby x Dakota Doll, by Defrere). A homebred for Nirvana Stables prepared by James Ryerson, the son of Shanghai Bobby stalked the leader and then powered clear with a furlong to run to win the six furlong contest by more than two lengths. Mr Pete has the overall record of two wins and a second from four starts earning over $125,000. The second stakes-winner for Shanghai Bobby, this colt is from stakes-placed Dakota Doll, a half-sister to stakes-winner Lovely Fiona. Shanghai Bobby has made a pleasing start to his stud career and is already the sire of five stakes horses with Mr Pete joining March X Press, Spirit of Shanghai, Bobby Ax and Kazan.